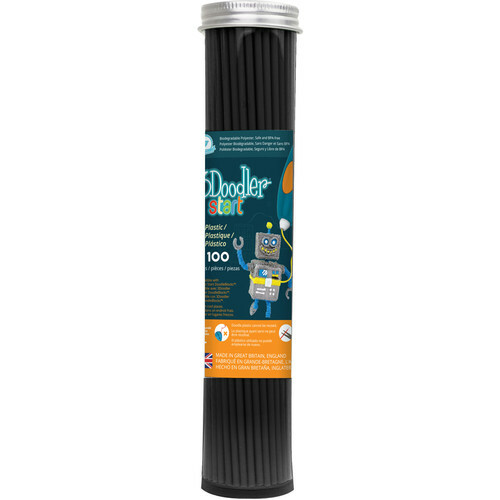 Designed specifically for the 3Doodler Start Pen, the Charcoal Black 3Doodler Eco-Plastic Filament is safe for kids because it is low heat, BPA-free, and nontoxic. Safe to doodle on almost any material, such as Lego, the eco-plastic can be easily removed. 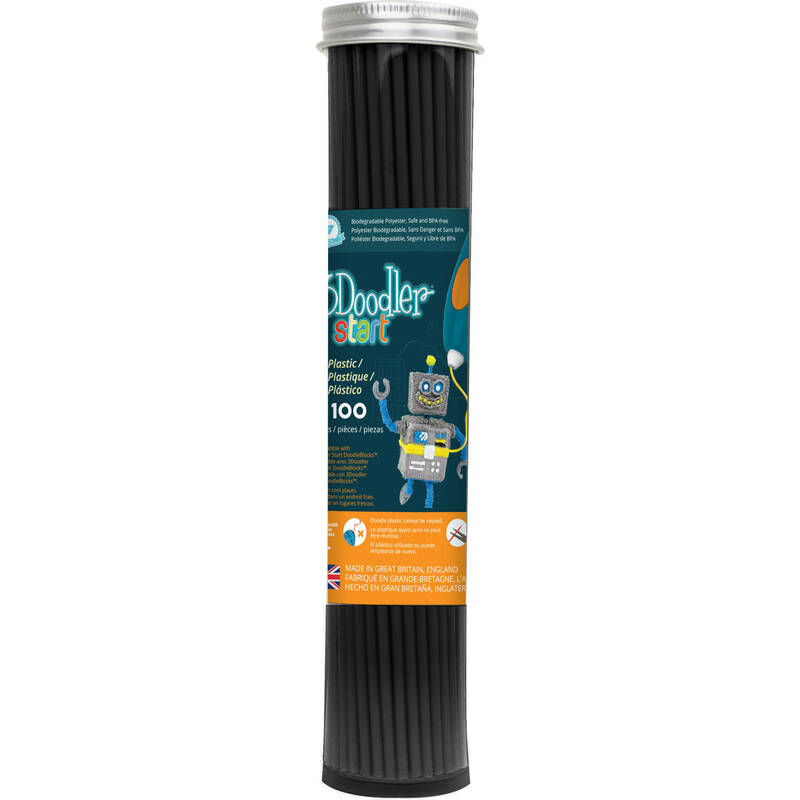 It extrudes up to six times the original length, so one 6-inch strand can potentially provide over 35 inches of doodling. There are 100 strands in a package.